Spirit Clay: My DeliciousMischief Etsy Shop Opening! My DeliciousMischief Etsy Shop Opening! 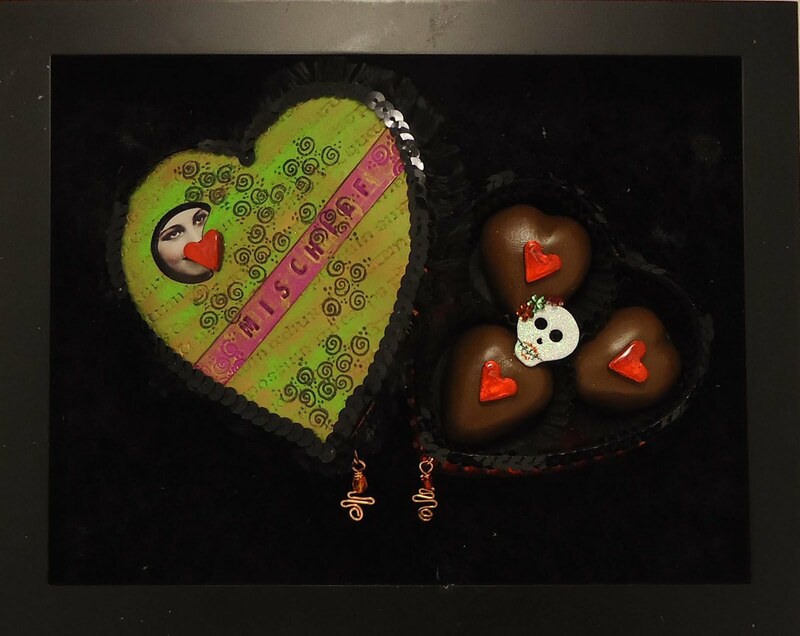 Each chocolate box art piece started life as an actual box of chocolates and is lovingly hand crafted to bring you delicious art you devour with your eyes! The artwork is deeper than the frame, so the glass has been removed. 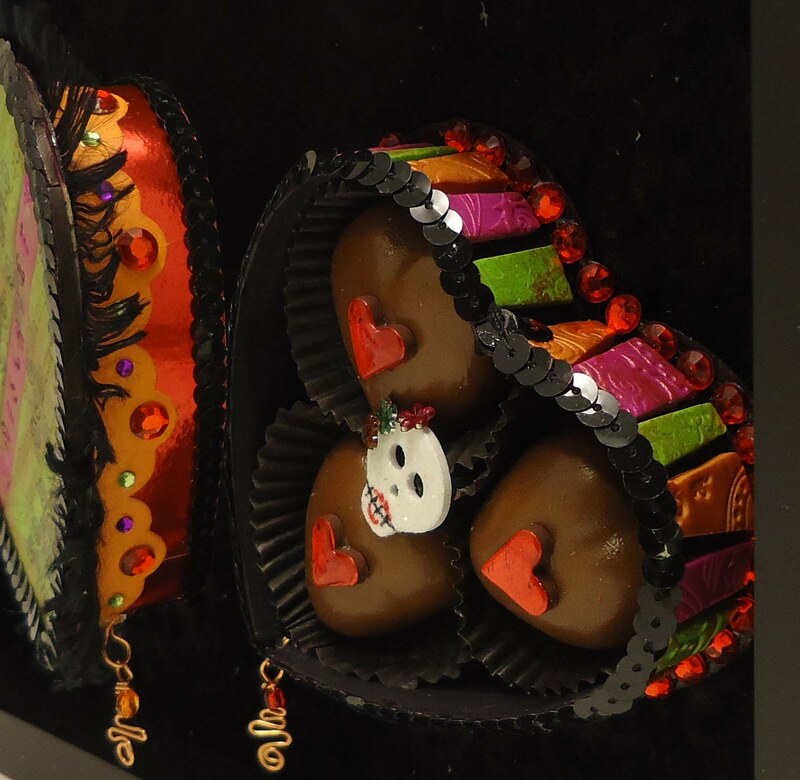 These polymer clay chocolates look good enough to eat! This is an 8" x 10" Framed mixed media art piece featuring handmade polymer clay tiles. The top and bottom of the box have small wire wrapped charms. Watch for more chocolate box pieces and some crazy jewelry that will be listed in the Bone Tree Section!